At a time when most companies main concern is their bottom line we at SMI Mechanical strive to separate ourselves from the competition. We realize that the success of SMI Mechanical depends on providing all of our customers with the best Engineering, Installation, and Service available in Tidewater. 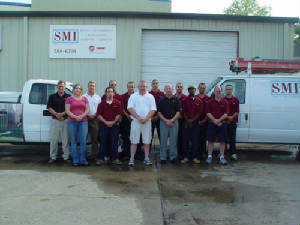 With over 200 years of combined experience you can be confident that SMI Mechanical will fulfill all of your HVAC needs.